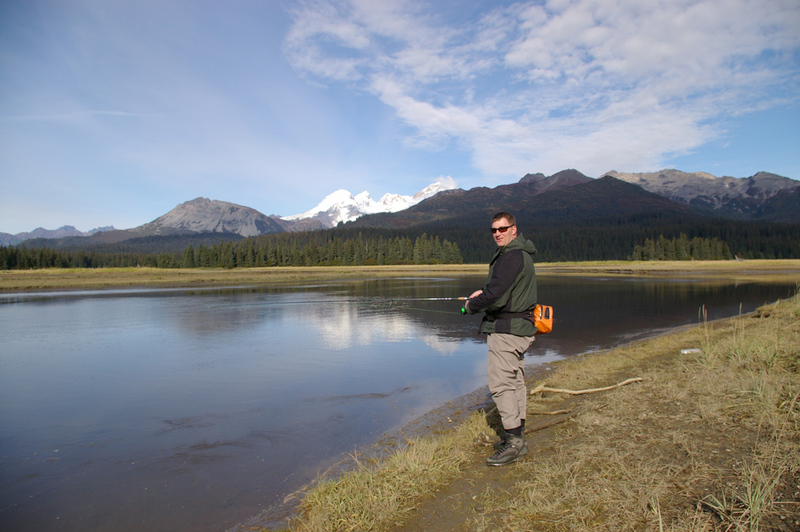 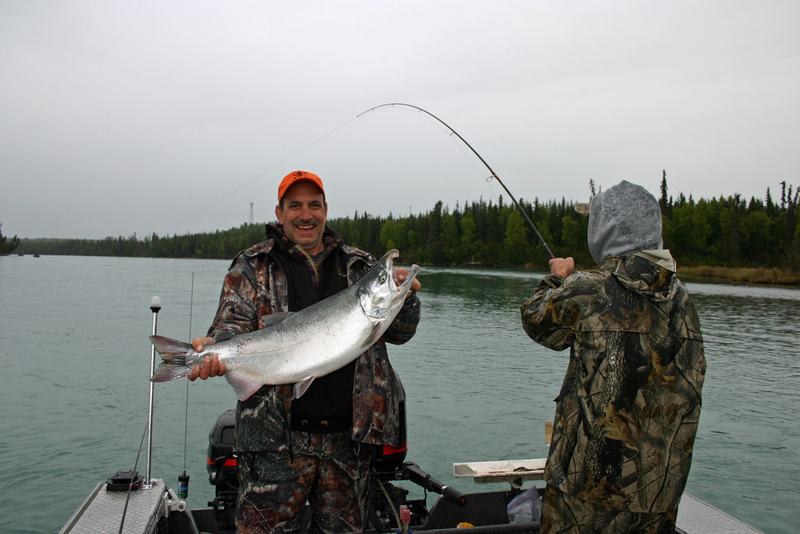 Silver salmon fishing is known for fast paced tail walking action. 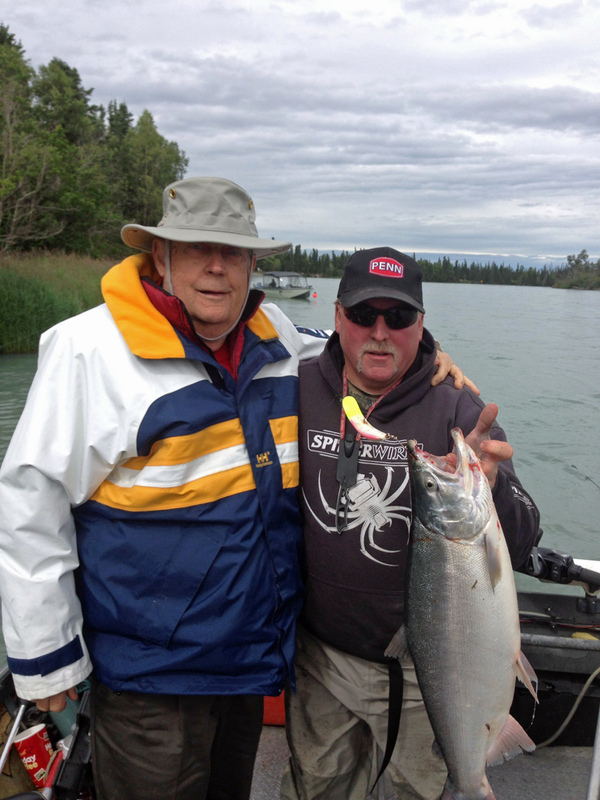 Our Kenai River silver salmon fishing guides have decades of experiencing catching them. 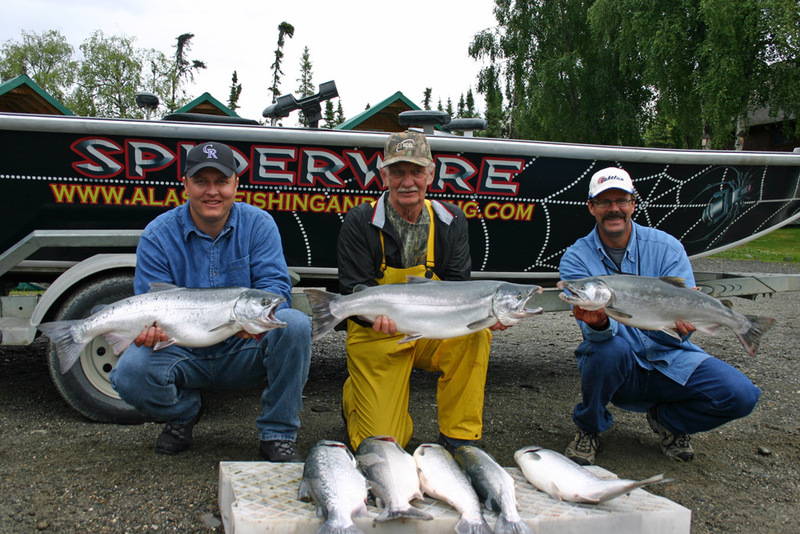 If you Googled the word “feisty,” you would see Alaskas Kenai River Silver Salmon at the top of the page. 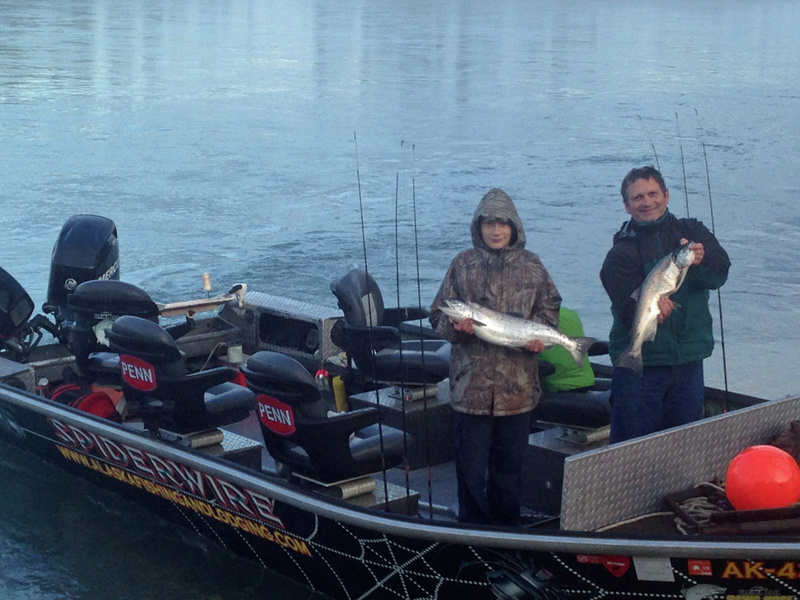 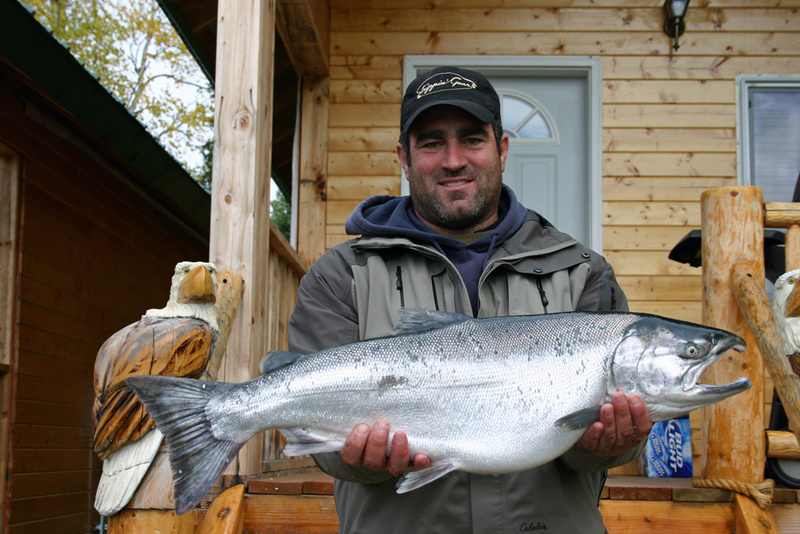 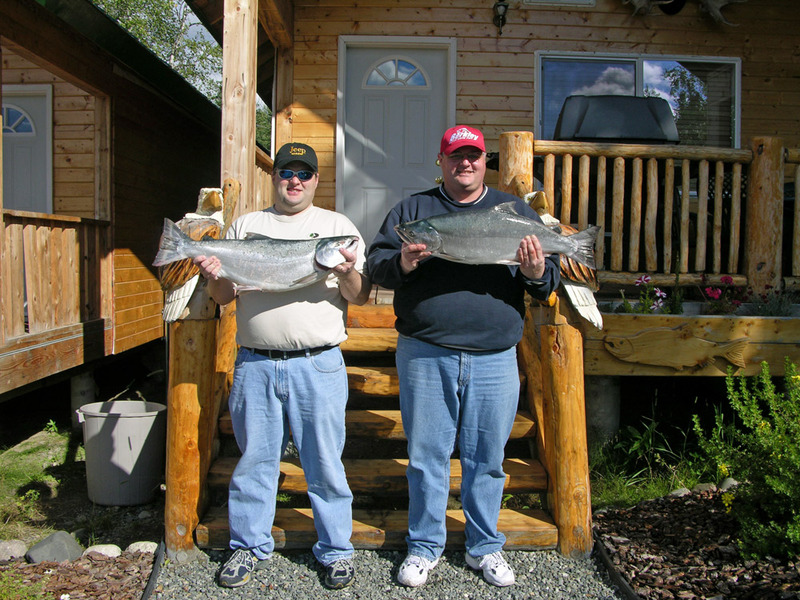 The Kenai River has two runs of silvers. 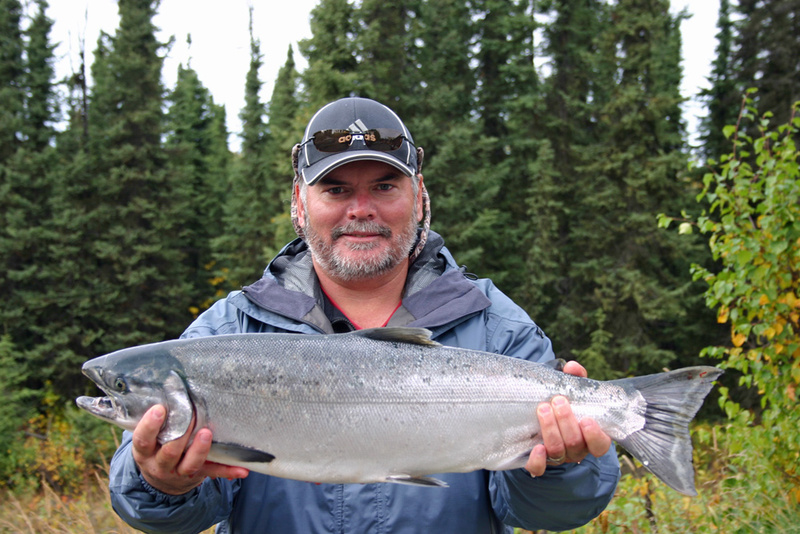 The first run starts sneaking into the Kenai with the kings and sockeye around the 25th of July. 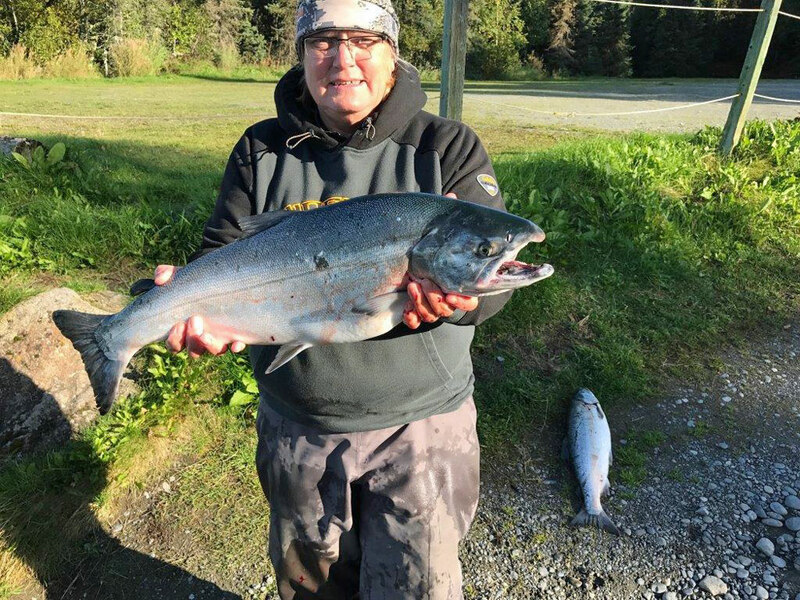 July – August – The First week of August books up fast, sometimes a year in advance; this is especially true the first ten days because that time frame has silvers, sockeye, and on even years, pink salmon. 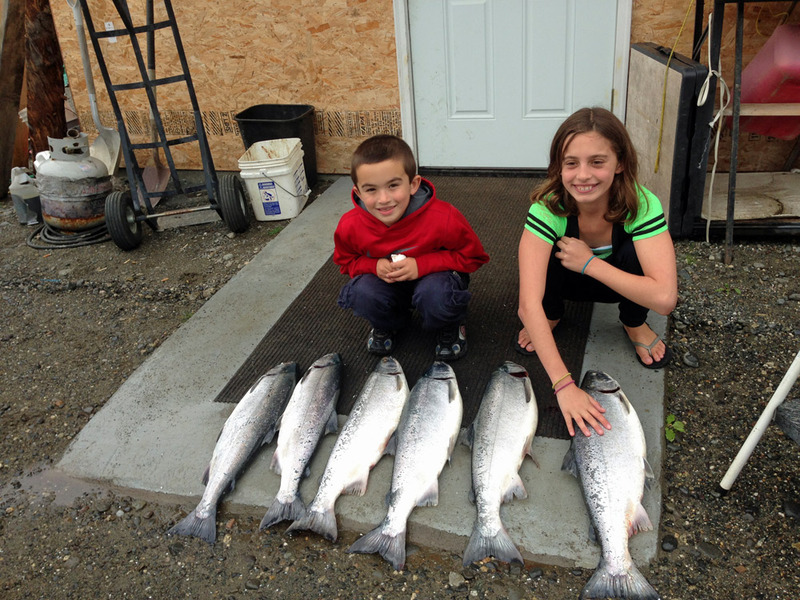 The first run of silvers is a great time to bring the whole family, with limits coming fairly easy for all ages to catch. 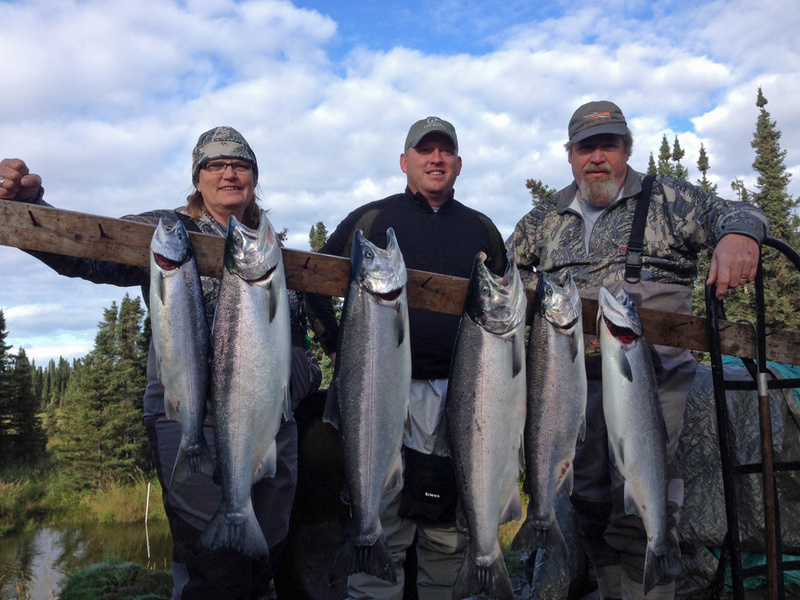 On a perfect trip we could catch 2 silvers, 1 sockeye, and 6 pink salmon, having to get your 2 silvers last for each guest. 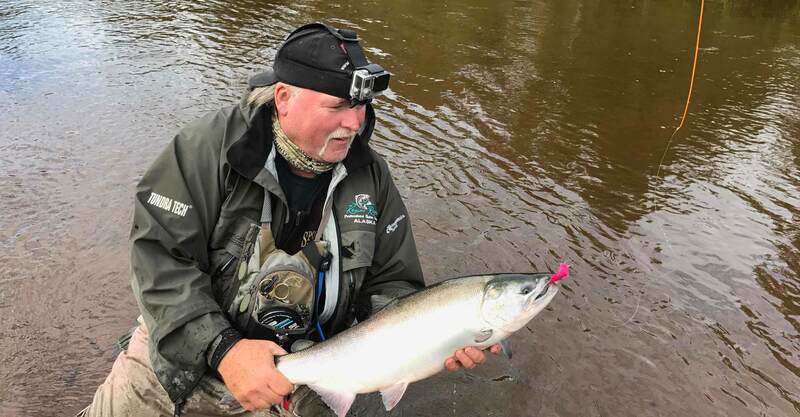 September – If you can handle a little cooler weather, and are looking to fill the freezer with salmon, then you might think about fishing in September for silvers. 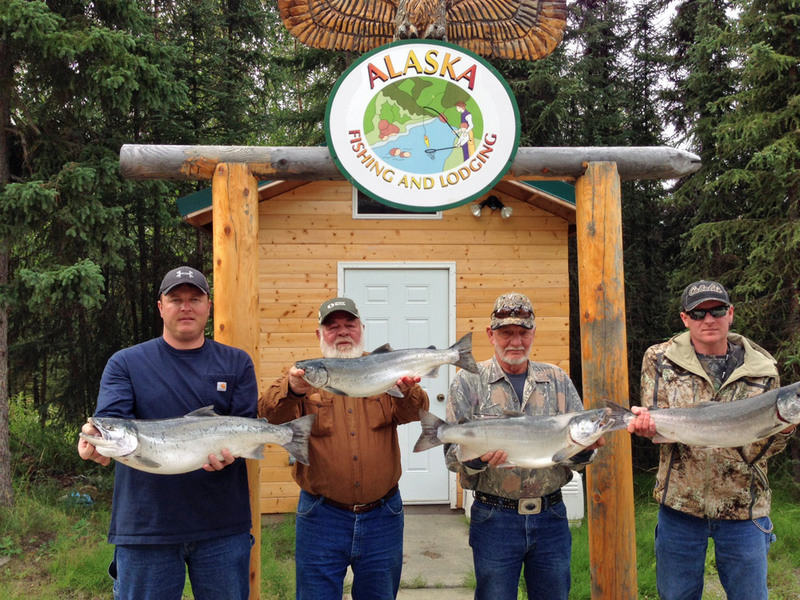 Not only are the second run silvers usually bigger, but the limit goes to 3 silvers per guest. 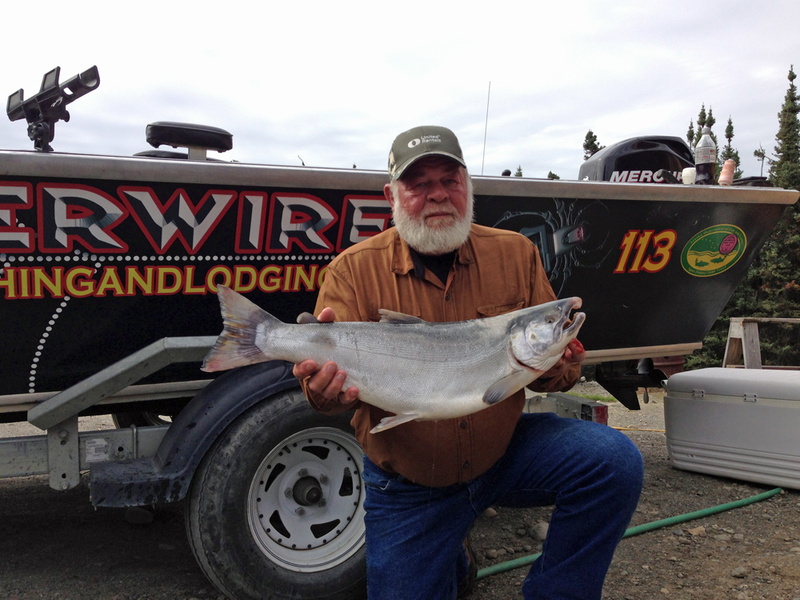 So far the largest silver caught by our guests is 21 pounds. 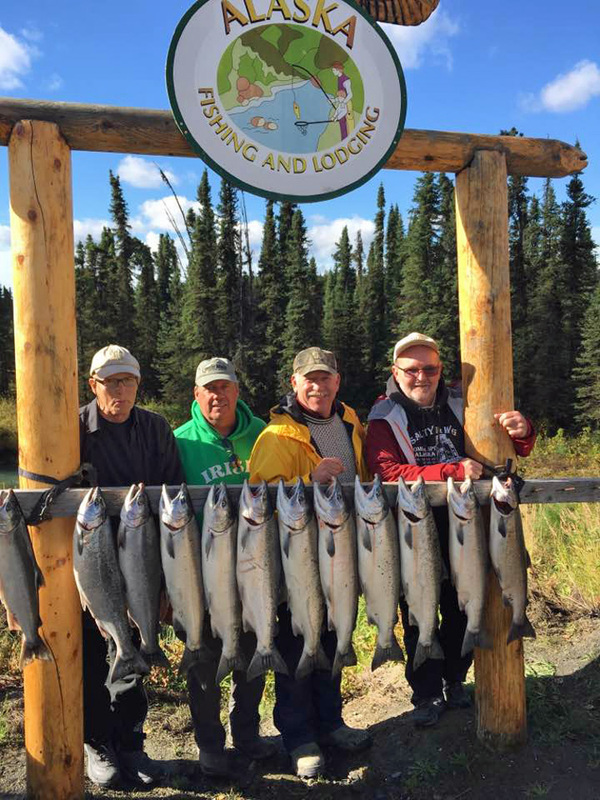 We once had a group four guests that took a limit of silvers, and after being processed into 1 to 1 ½ pound packages, weighed 71 pounds. 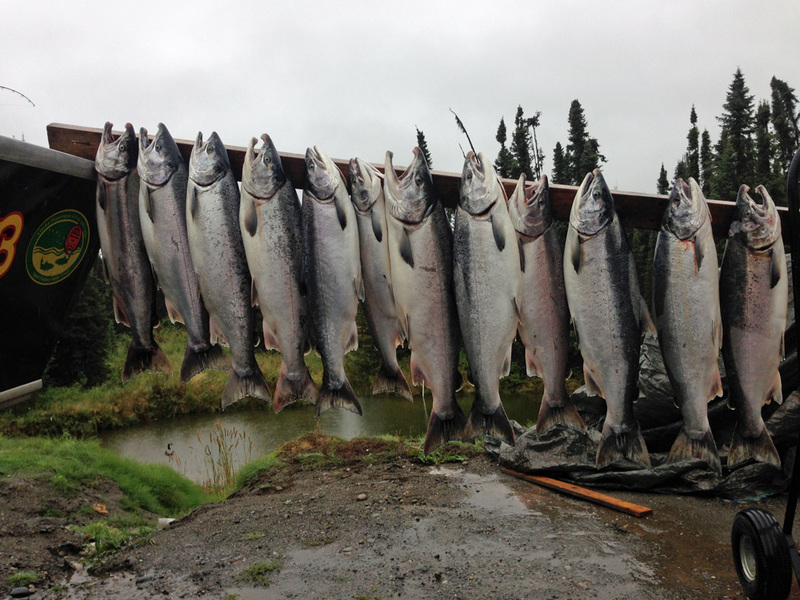 So if you want to catch some tail walking silvers, and want to take home a good amount of salmon, then September might be for you. 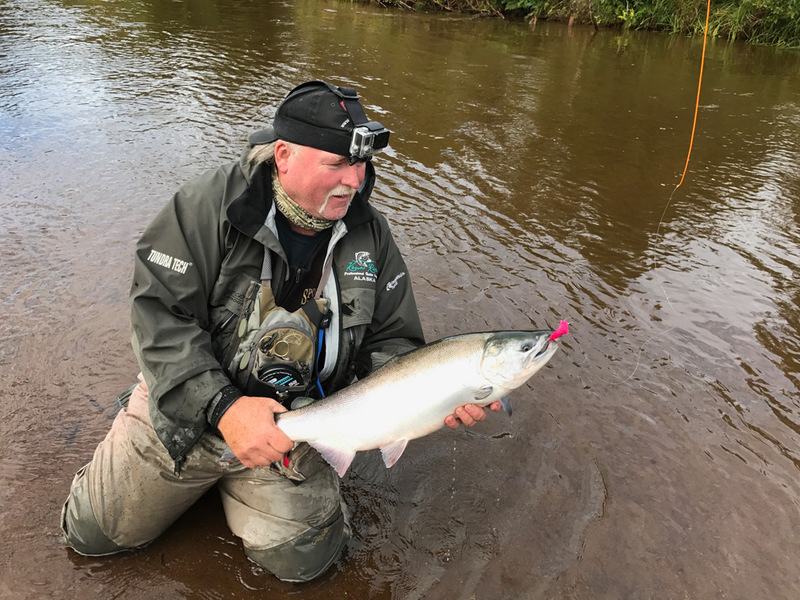 In September we cast spinners and power troll plugs. 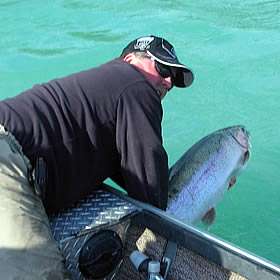 We also often anchor in our favorite spots where we can intercept coho’s. 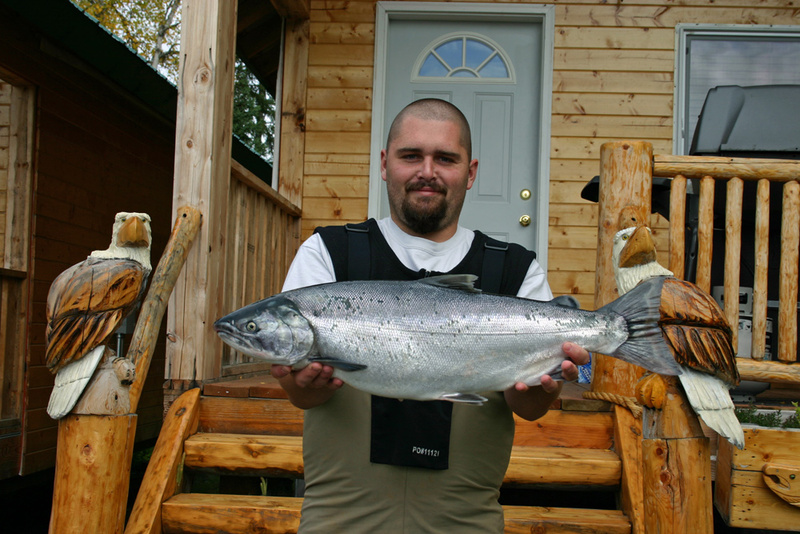 If you would like to join us for some action fishing, or just want to get the whole family into fishing, this is the best salmon to do that. 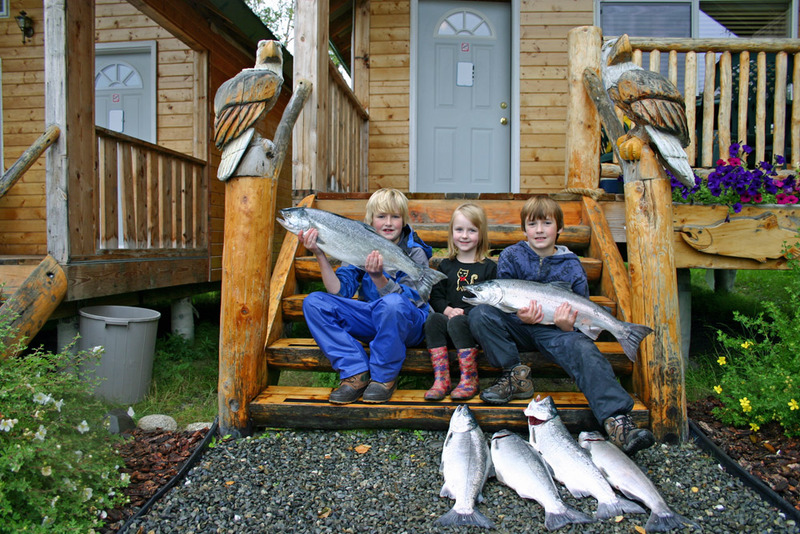 Book a silver salmon fishing package and stay at our lodge where you can process and freeze your catch and take it home ready for the freezer. 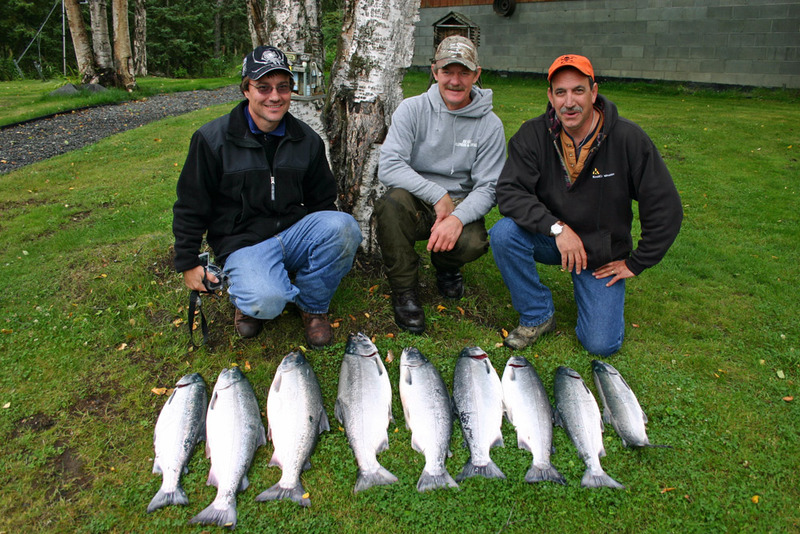 To maximize your chances to come home with a freezer full of fish go with the experienced Kenai River silver salmon fishing guides. 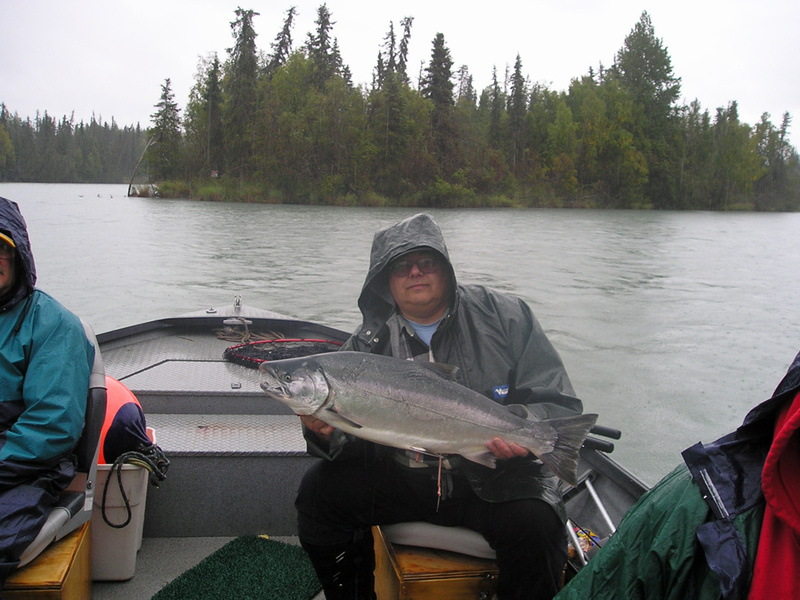 over the years we have perfected many different ways to fish for silver salmon on the Kenai. 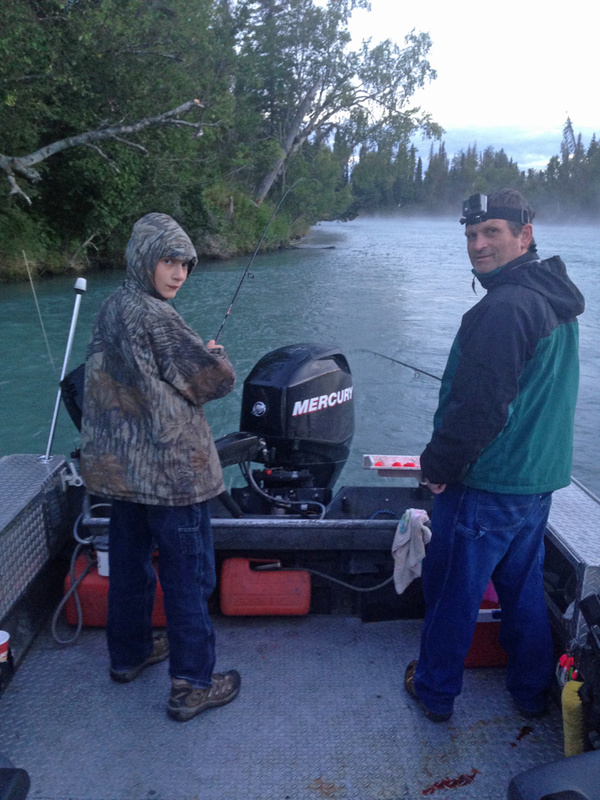 In August we anchor the boat in our favorite spot and begin back bouncing our favorite eggs right below the stern of our Willie Predator. 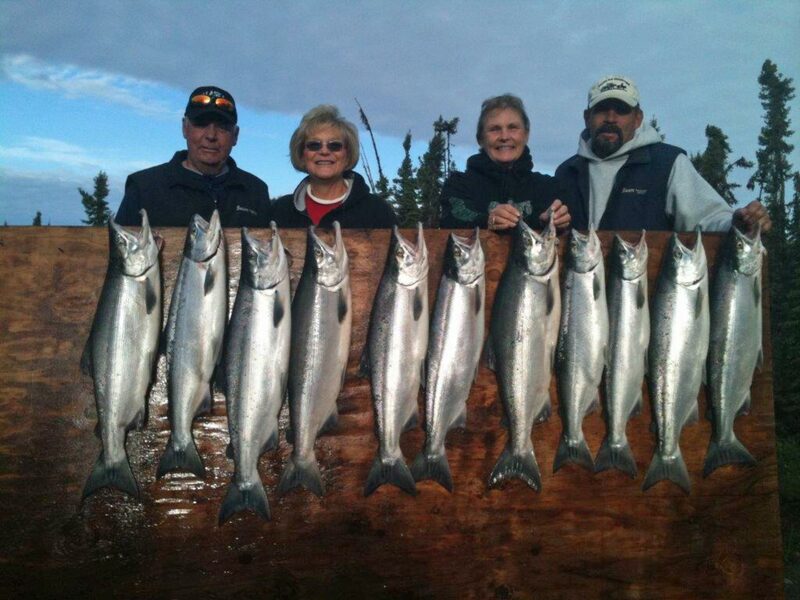 If we have guests that want to relax while silver fishing, we have them run a plug wrapped with sardine. 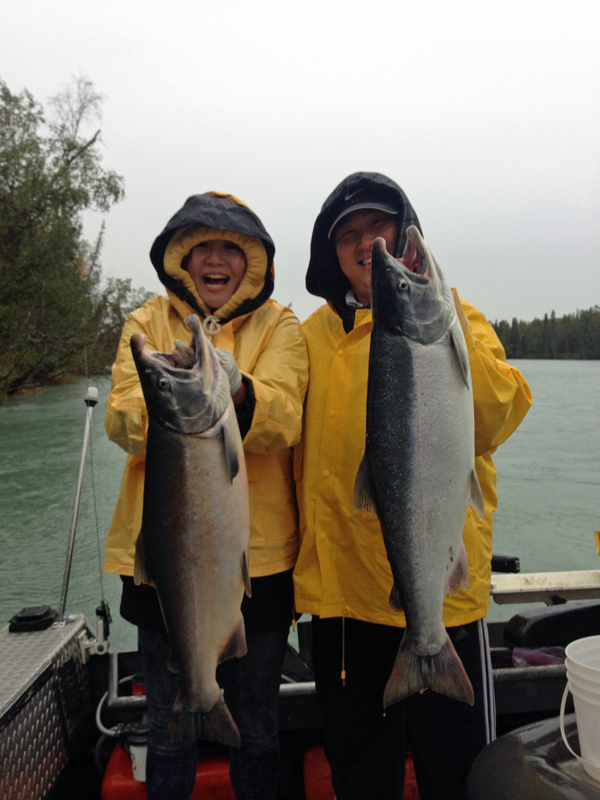 So call us and let’s get that rod in your hands so you can feel the power of these Kenai River Silver Salmon for yourself. 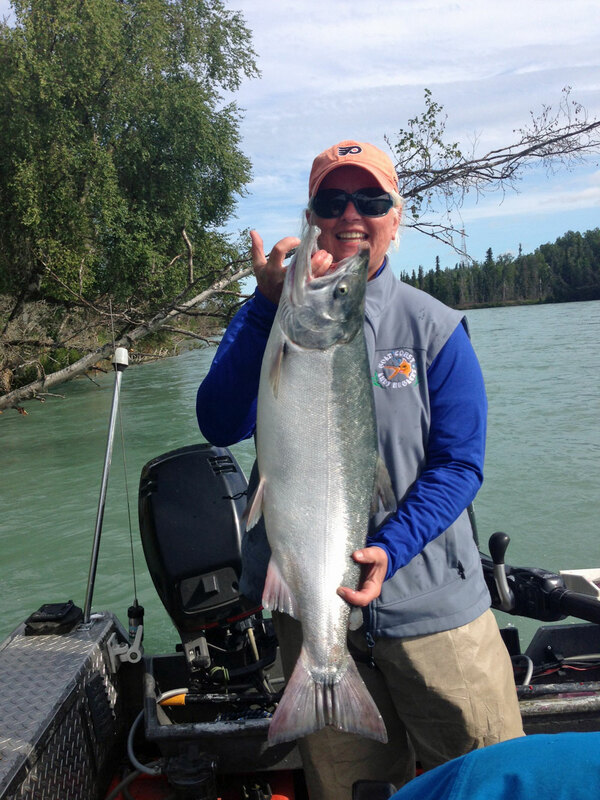 If your looking for silver salmon charter call us and we can arrange it for you to fish with one of our Kenai River Silver Salmon Fishing Guides. 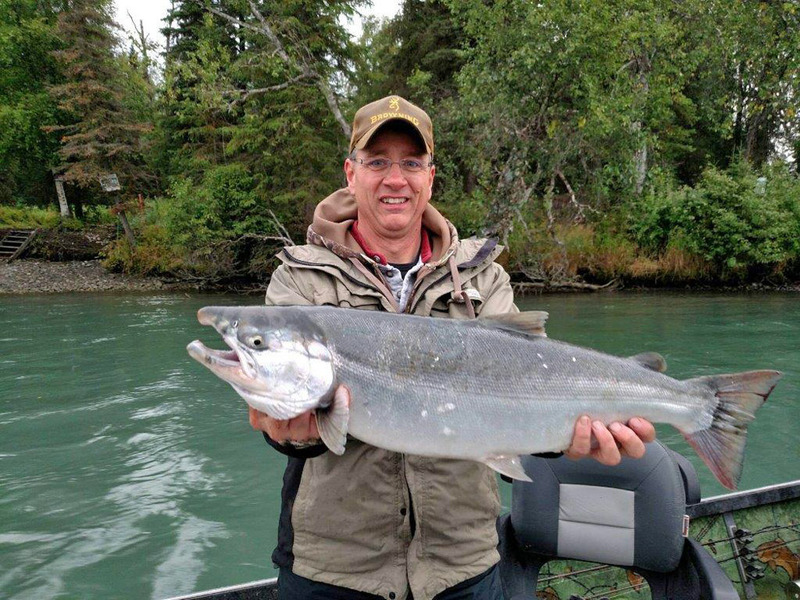 September and October months have produced some of the largest trophy rainbows ever caught on the Kenai River. 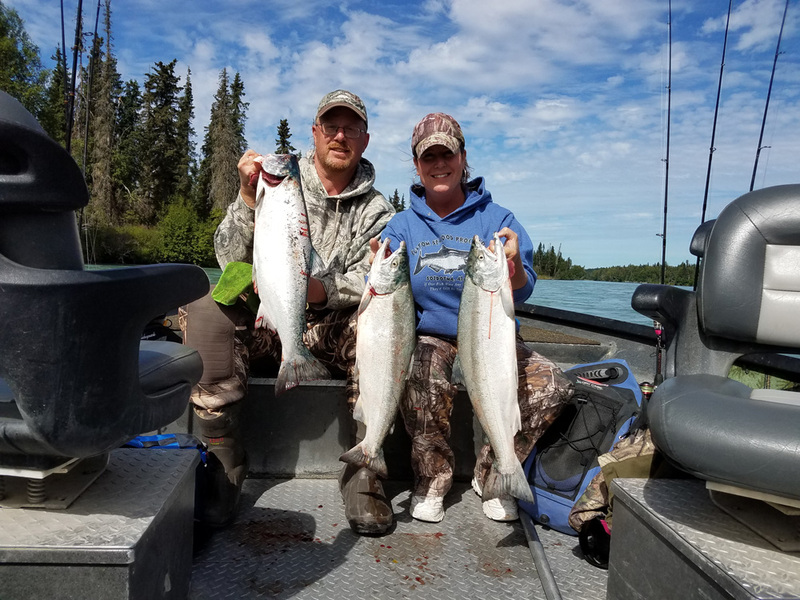 During those time frames we offer our guests the option to do combo trips for Kenai River Silver Salmon and Rainbow Trout. 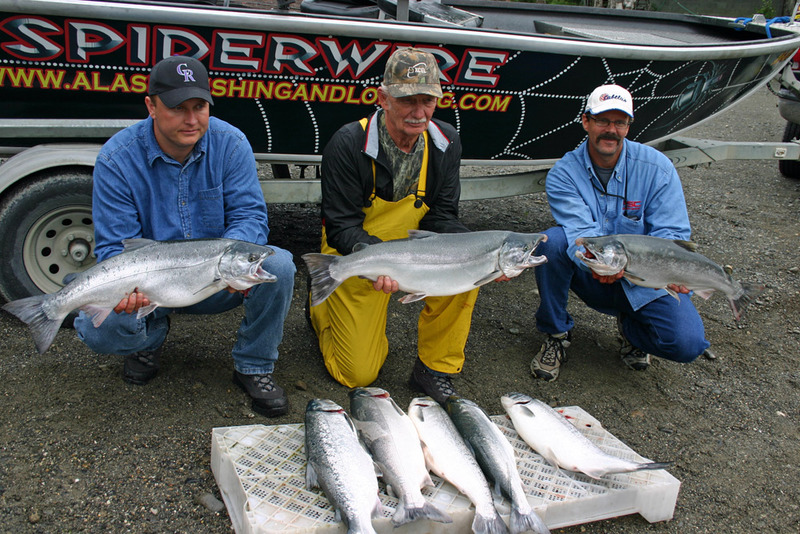 The best value is to book the whole boat so you have control of how long we fish for silvers before going fishing for trophy trout. 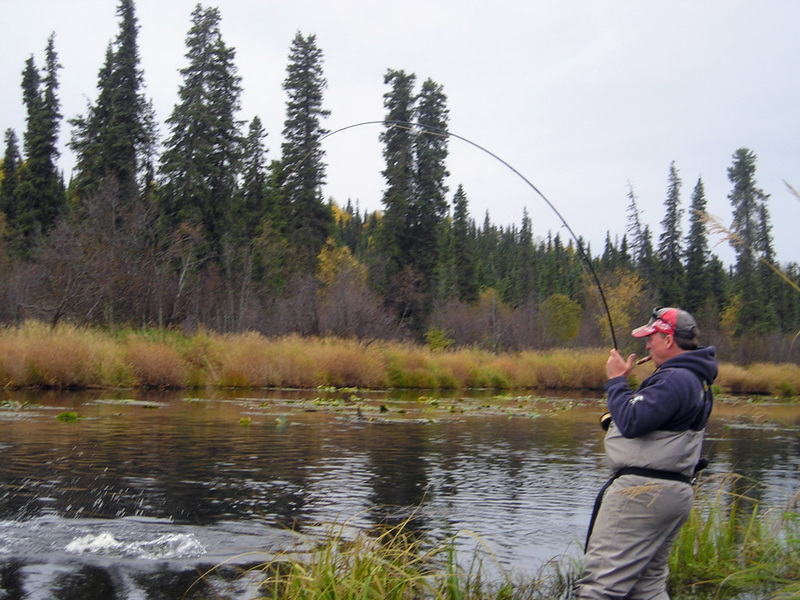 This way you get the best of both worlds on the same trip! 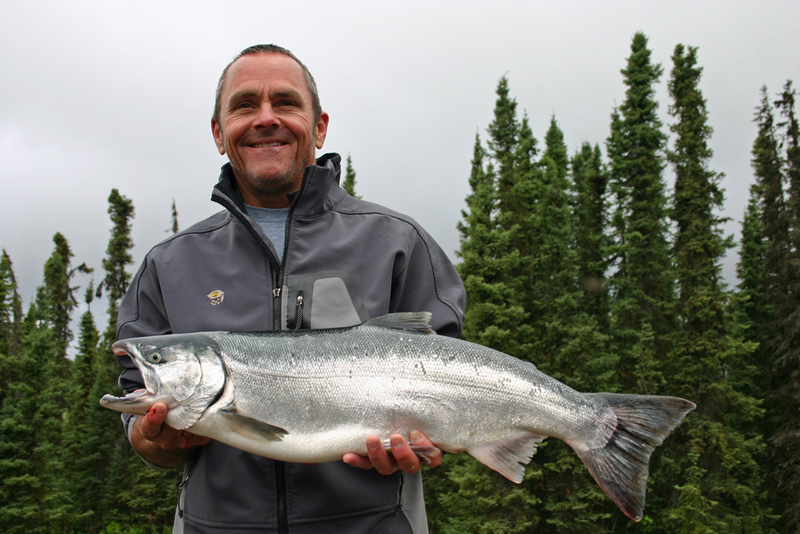 Call Tyland to get more info about trophy trout fishing with your silver trips. 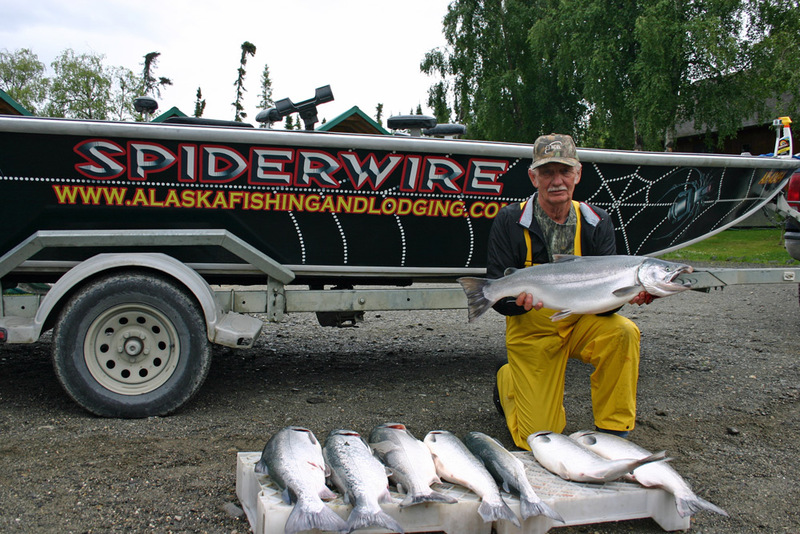 We can help you arrange the Kenai River Silver Salmon Fishing and Rainbow Trout Fishing trip of a lifetime. 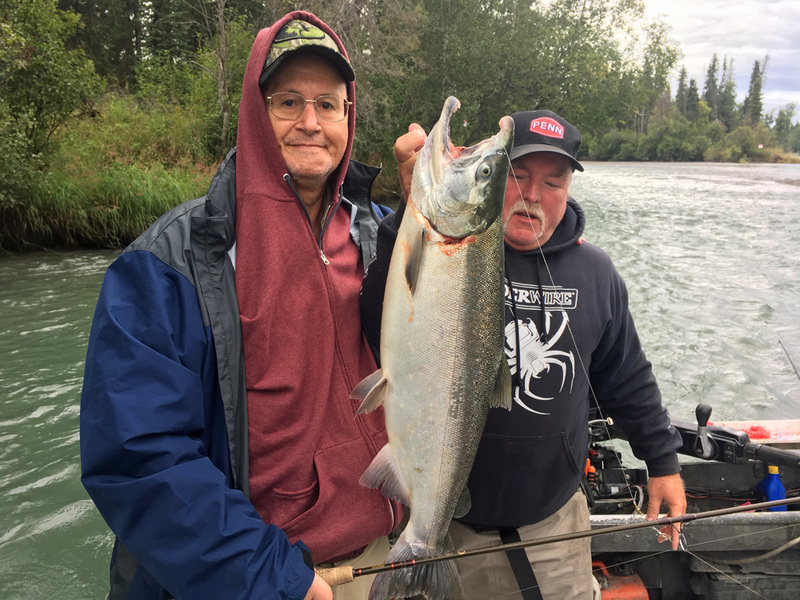 On even years the Pink Salmon, also known as Humpies, start flooding the lower Kenai River with the silvers, making it a challenge to catch your way through the pinks to get your limit of silvers. 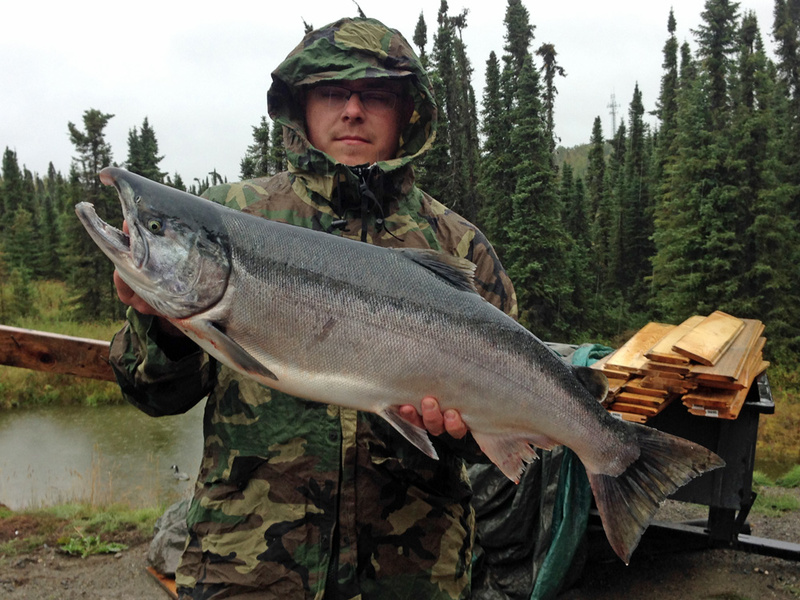 On August 22, 2016 the 42 year old state pink salmon record was broken twice in one day. 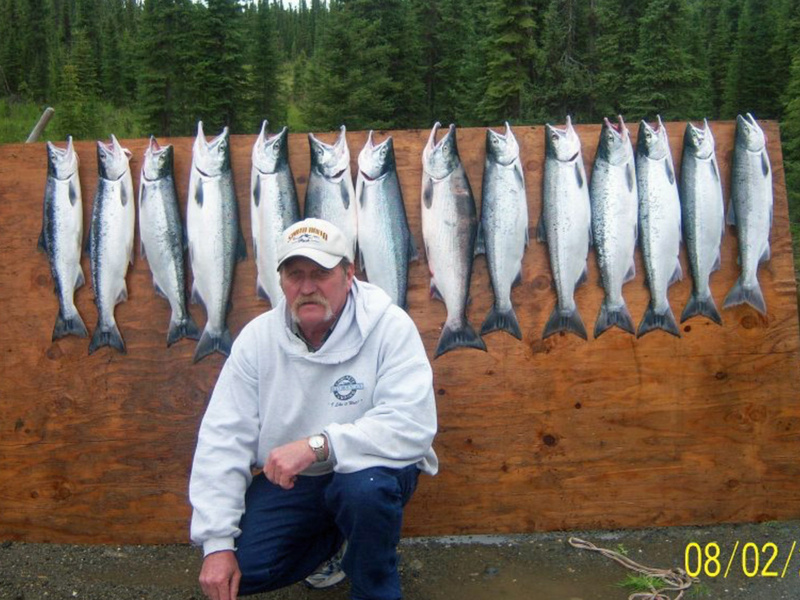 The prior record was 12 pounds 9 ounces set in 1974. 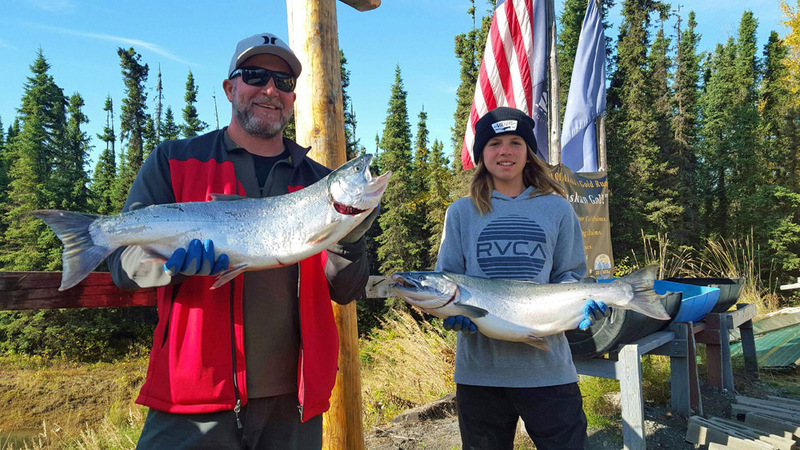 The pinks must have eaten pretty great prior to making their way back to the Kenai River, because the state had over a dozen pinks weighed in to try and break the record. 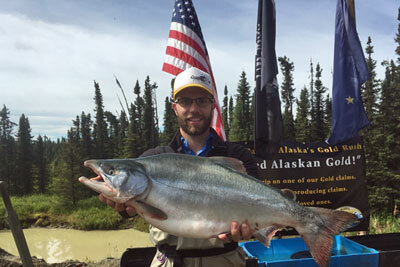 On that Tuesday morning in late August there were two lucky fishermen that would break that State Pink Record. 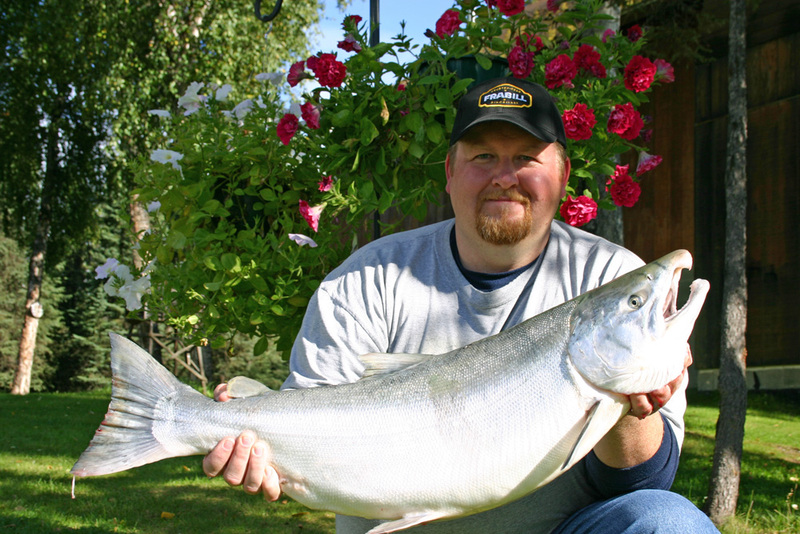 The first fisherman weighed in a 12 pound 13 ounce pink salmon that broke the record. 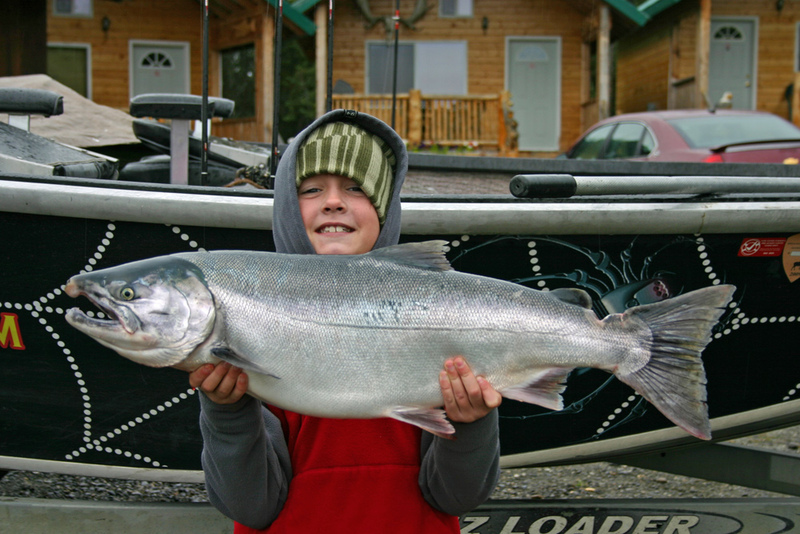 Three hours later the next pink salmon was weighed in at whopping 13 pounds 10.6 ounces and was 32 inches long. 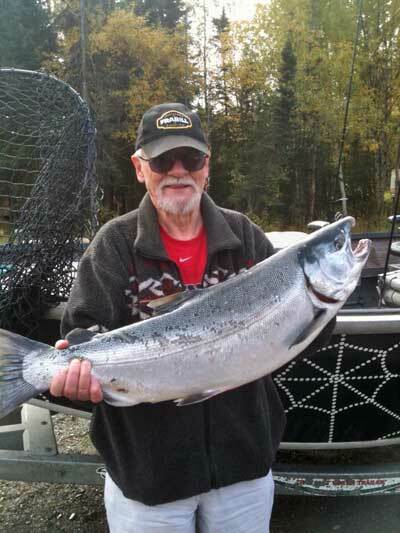 Why not book with us on the next even year and try and beat the Alaska state Pink Salmon record? 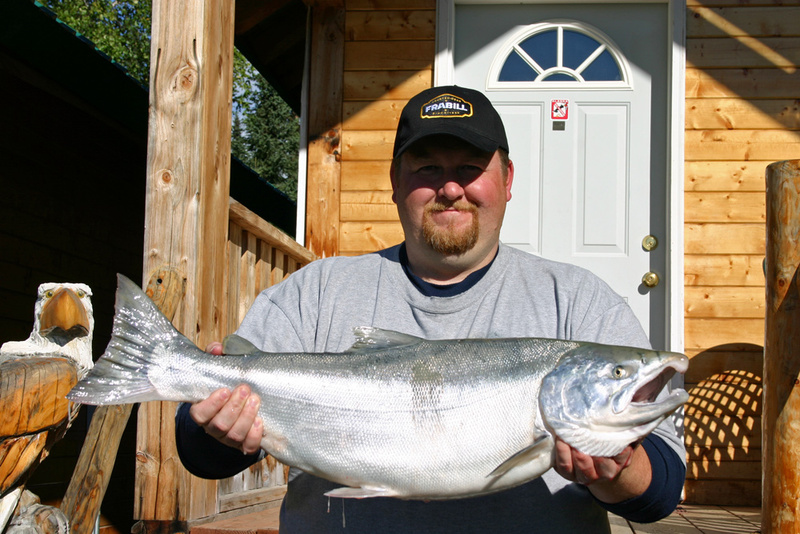 Better yet, lets break the world Pink Salmon record of 14 pounds 13 ounces. 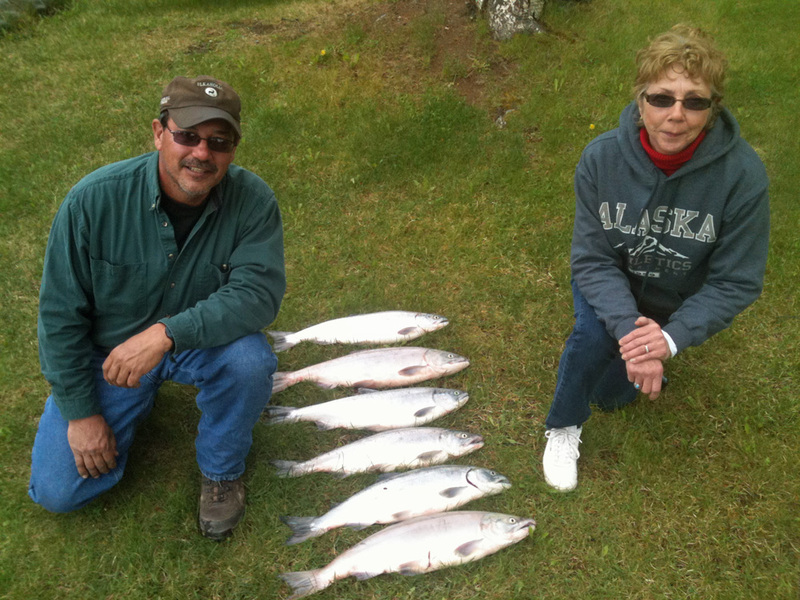 The photo on the left is of a large Pink Salmon. 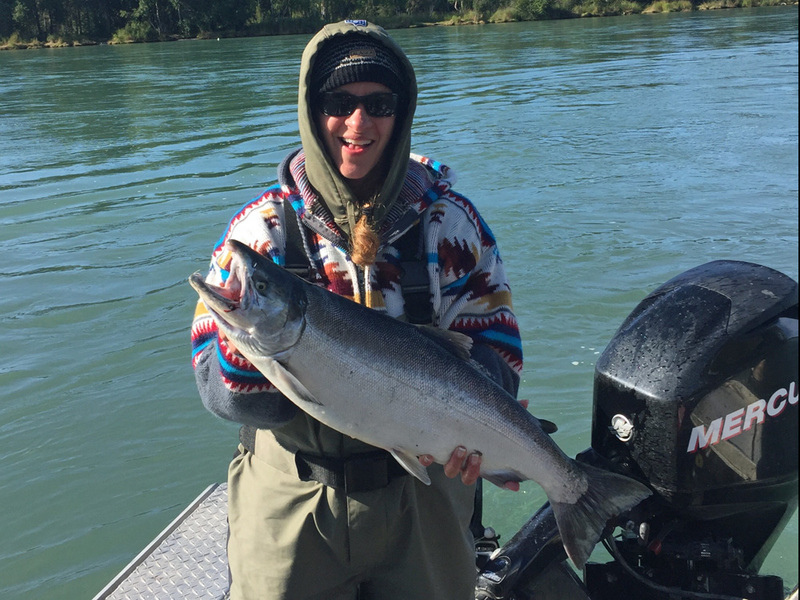 It wasn’t a record but sure was a Beauty! 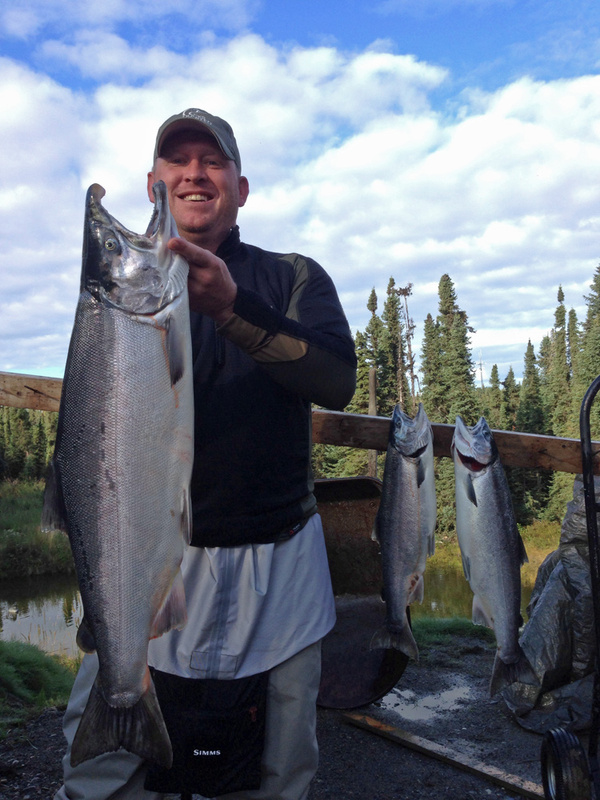 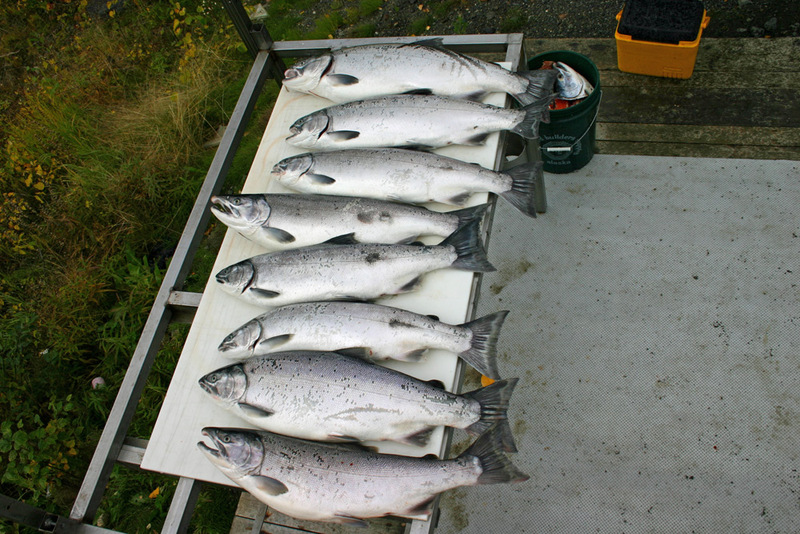 Call today and lets talk Alaska silver salmon fishing!